OK, I think we have all been occupied with other things over the festive period, but just to reassure you that I am back and mean business, here is an interactive idea for you… its a quick spot the difference…. bonus points for the first correct entry to identify both candidates… BizTsar egh! The one on the left is my great-grandfather Nick. The second, some would say. The chap in white, well, I just have to get my ouija board and quickly ask the granny Anastasia. She might know better. It’s Nicholas II of Russia (left) and I looked up the name of the other one, so it’s not fair to tell it now and I’ll keep silence about him. 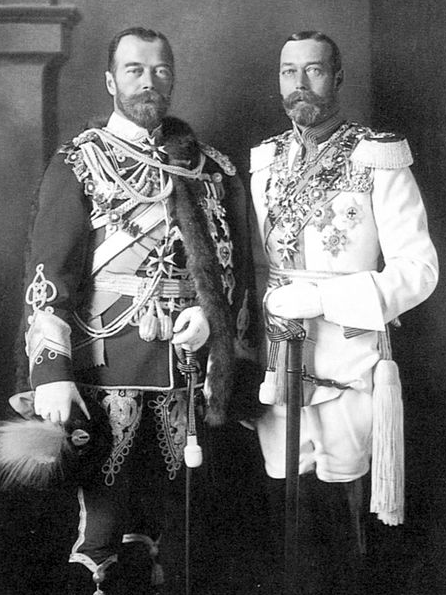 Tsar Nicholas II of Russia and King George V of the United Kingdom of Great Britain and Ireland and of the British Dominions beyond the Seas Emperor of India.